THE news that money has been found to dredge the neglected parts of the Birmingham Canal Navigations has been received with pleasure by members of CanalScape BCN. Laurence Hogg, a member of the group, hopes that this will encourage more regular cruising of this interesting but neglected part of the BCN, believing the presence of more boats may help convince the local population that the canal has a more beneficial purpose than just being a convenient dumping ground. 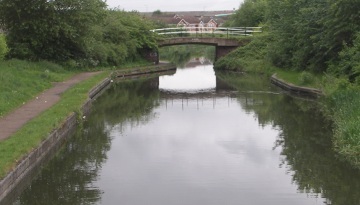 Dredging is to start this month with the clearance of bridge holes and weirs, and will include the Walsall Canal, pictured. The group congratulate BW manager Dean Davies for being able to find the money to finance this much needed operation in economically lean times! He was given a tour of the area by the Birmingham Canal Navigations Society a short while ago, which perhaps helped convince him of the potential of the area.